Honestbee is trying to bring up the awareness of equality in public and more importantly give it's best back to the society, employees and stockholders in every possible way. As a mother with young kids to take care of, finding a part-time job seems to be the best choice to ease the burden of one’s household expense. However, it isn’t as easy as one expects. A typical part-time job usually requires more than four hours in a regular shift. Additionally, bringing kids to the workplace is usually not allowed. The rigidity of the job compels most mothers to quit, forcing them to become isolated from society. Surprisingly, a similar scenario also takes place for retired individuals as well. Even though they have plenty of free time and their health condition is relatively stable, their older age and conceivable health risks concerns prospective employers. They are afraid that these problems will give rise to inefficiencies in carrying out tasks and potential on-the-job safety risks. As a result, for the elderly who have a desire to work, finding a job is almost impossible. Given that these ubiquitous problems are entrenched in society, honestbee, a grocery delivery startup headquartered in Singapore, started with the social mission to assist jobseekers who are only available in flexible time slots. These workers have the opportunity to become grocery shopper or deliverers in the company. Moreover, they try to combat these prejudices and drive positive change by reintegrating mothers and the elderly into the workforce. One of the most notable examples is the case of a single mother, Miss Christabel Koh. She has an adorable daughter born with no left hand. 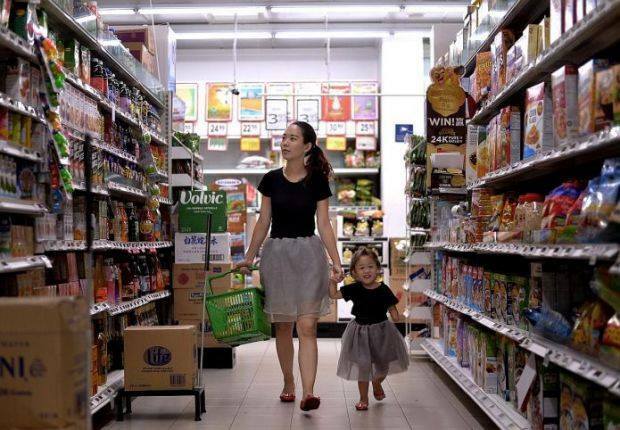 In order to keep her daughter company and earn a living at the same time, this single mother chose to work at honestbee as a grocery shopper. To everyone's surprise, Miss Koh did well and was promoted to a superior status in the team. The scheduling flexibility creates a win-win for both parties. The entry requirements for the two jobs are not high. Nevertheless, some expertise is required. For example, in grocery shopping one must be able to choose products of good quality and condition. In order to equip jobseekers with food-picking know how, honestbee has launched a series of courses to cultivate excellent sight toward fresh, quality foods. This ensures the delivery of the best quality of products and services. This significantly shortens the gap for those who know little about grocery and fresh food. Most importantly, it creates a sense of fulfillment for jobseekers and further increases their value in the company. Within the highly fierce startup scene in Southeast Asia, creating an outstanding business containing the spirit of social enterprise is a rarity. This is largely because profitability in a company is always top priority and is an important criteria in the eyes of investors. While other startup companies focus only on the pursuit of revenue and growth, honestbee decided to do more for society. It strikes a perfect balance among various aspects. Even though honestbee takes a bold move in rapid expansion across Asia and Southeast Asia, it still stick to their original mission. In turn, they have built on this mission, working with local charity institutions and NGO’s to expand the project. With its successful launch in Hong Kong, Taipei and Niseko, honestbee has undoubtedly proven the co-existence of profitability and social impact in its business model. They are revolutionizing the definition of the workforce and empowered those forgotten groups and disconnected individuals.